This was the residence of the 7th president of the United States, Andrew Jackson (he was president from 1829 – 1837). A view of the front porch of the mansion. The Hermitage eventually became a 1,000 acre cotton plantation. The back porch and yard of The Hermitage mansion. This side faces the plantation fields and the working areas. He served at a unique time in our nation’s history, which was after the founding fathers had mostly passed away and before the tumultuous time of the Civil War. Andrew Jackson became famous during the War of 1812 due to his victory over the British at the Battle of New Orleans. 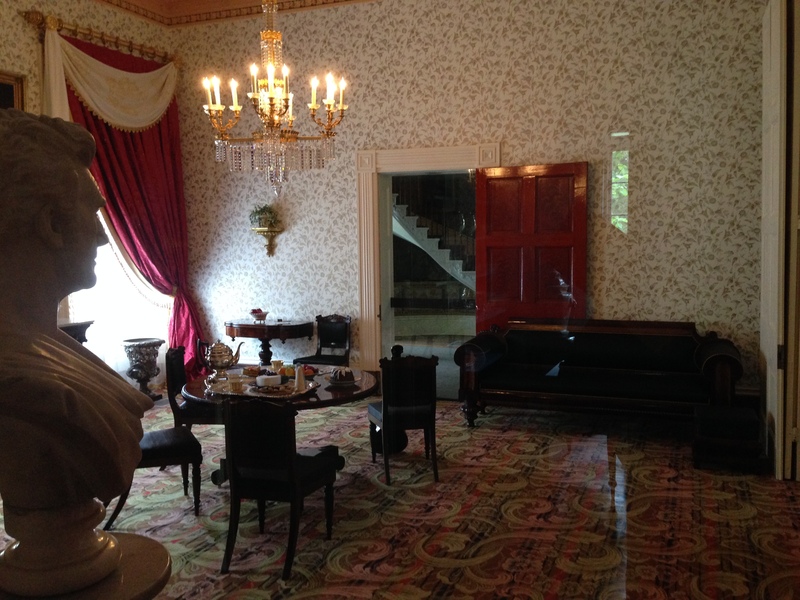 A parlor room in The Hermitage mansion. 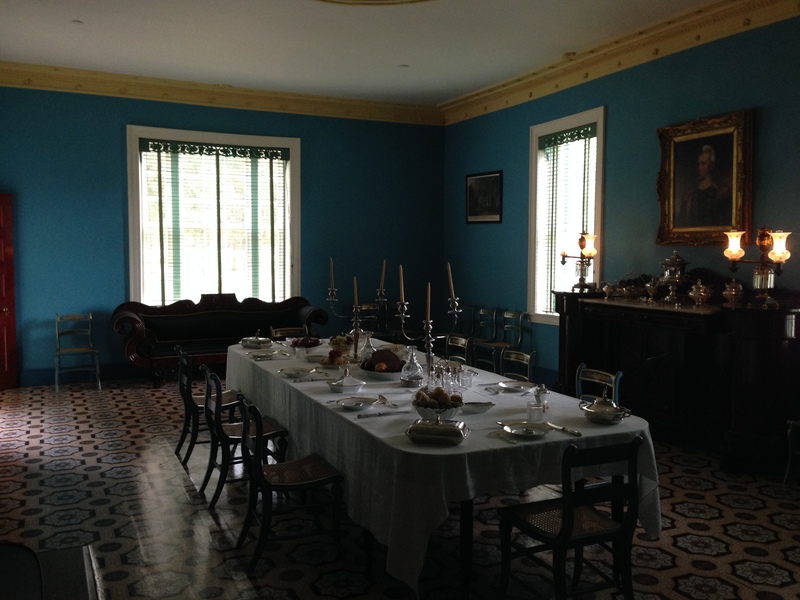 The dining room in The Hermitage mansion. 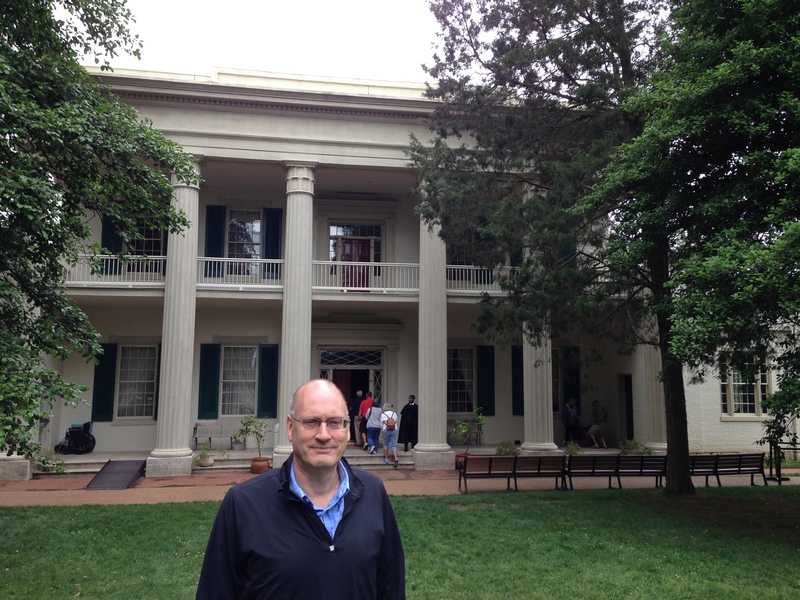 His home in Tennessee, called The Hermitage, is about 10 miles east of downtown Nashville. The sights include his mansion home, gardens, tomb and outlying buildings in addition to an excellent visitors center. 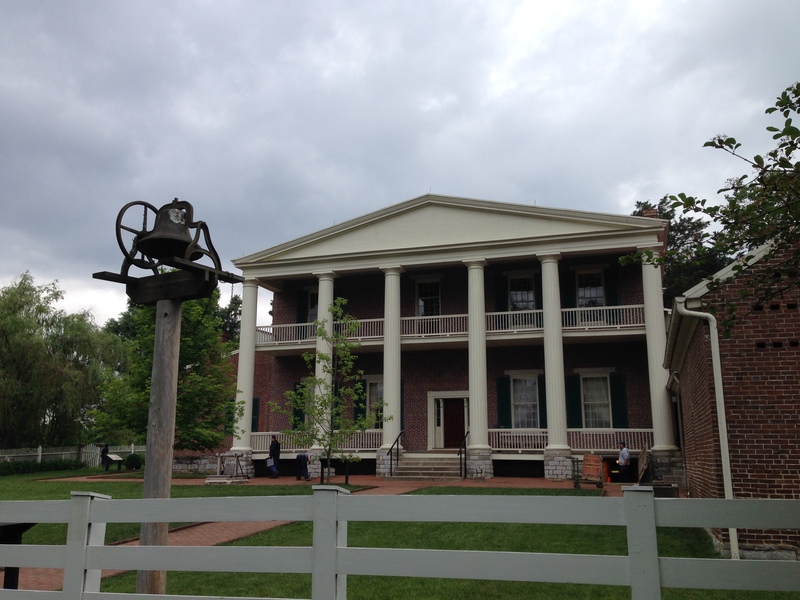 The building on the left was originally two stories and was Andrew Jackson’s first home at The Hermitage. 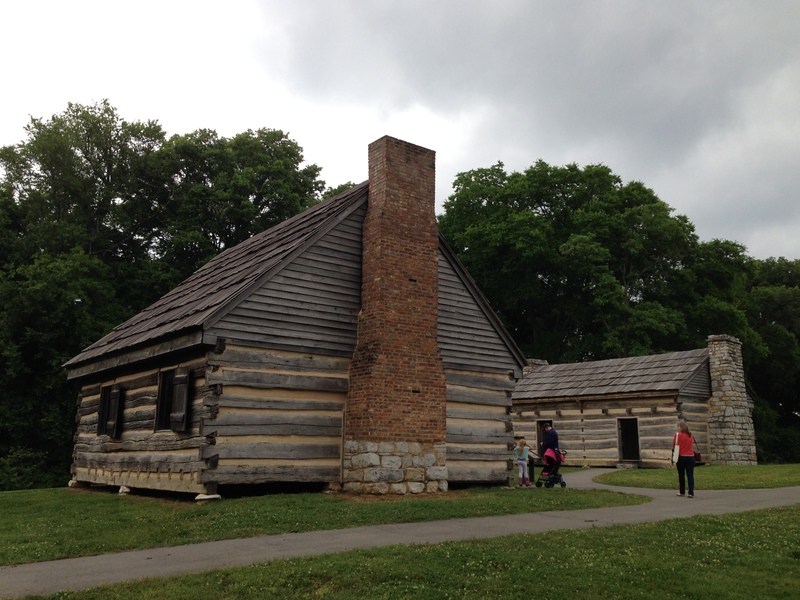 It was later reduced to one story and became a slave quarters. 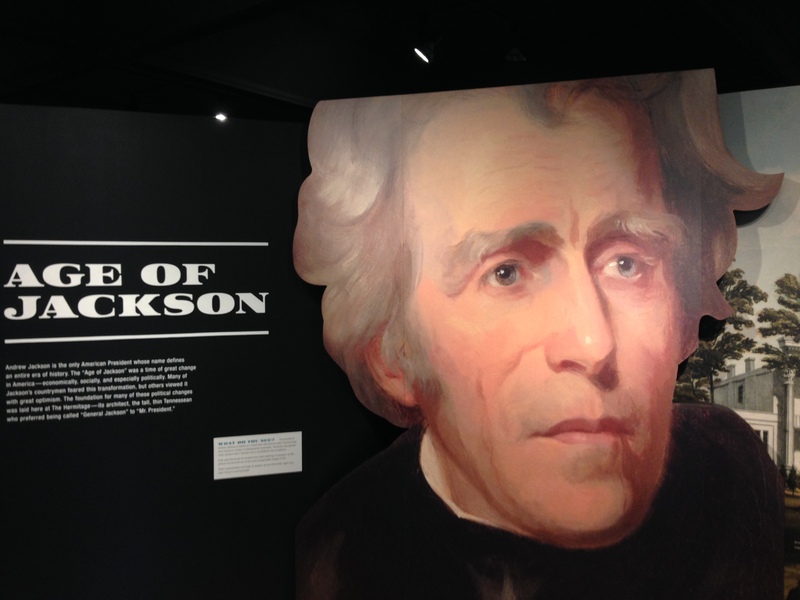 The visitor’s center provides an extensive overview of the U.S. during the time of Jackson. 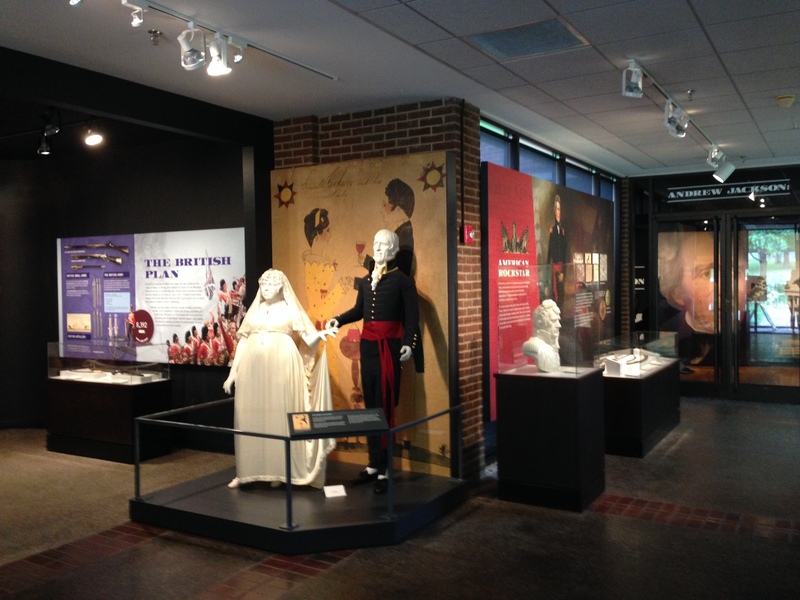 Statues of Andrew Jackson and his wife Rachel in the visitor’s center. The marriage caused quite a stir at the time, since her divorce from her first husband had not been finalized prior to their marriage. She died right before Jackson moved in to the White House. 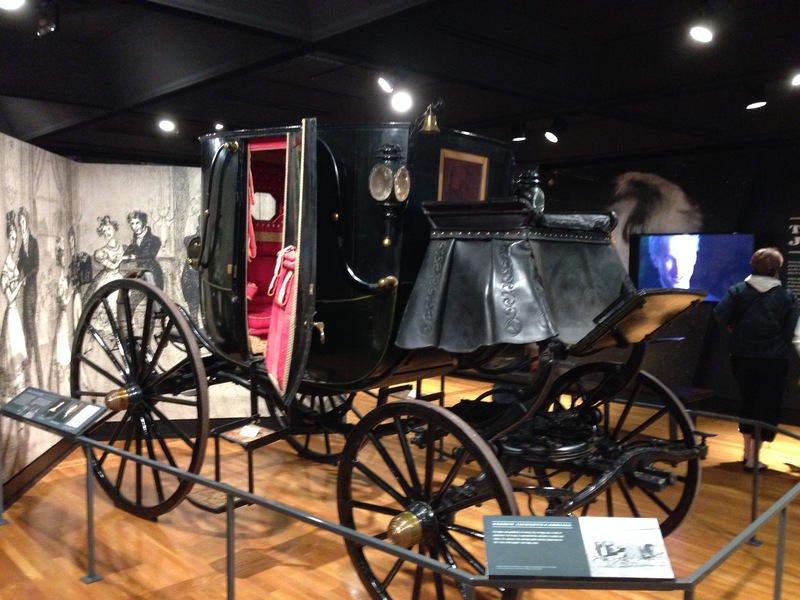 Andrew Jackson’s fancy carriage, which was a status symbol of the day. Andrew and Rachel’s gravesite, in the garden of The Hermitage. Plan on at least a couple hours to take in everything. The guides giving tours of the home are dressed in period costume. 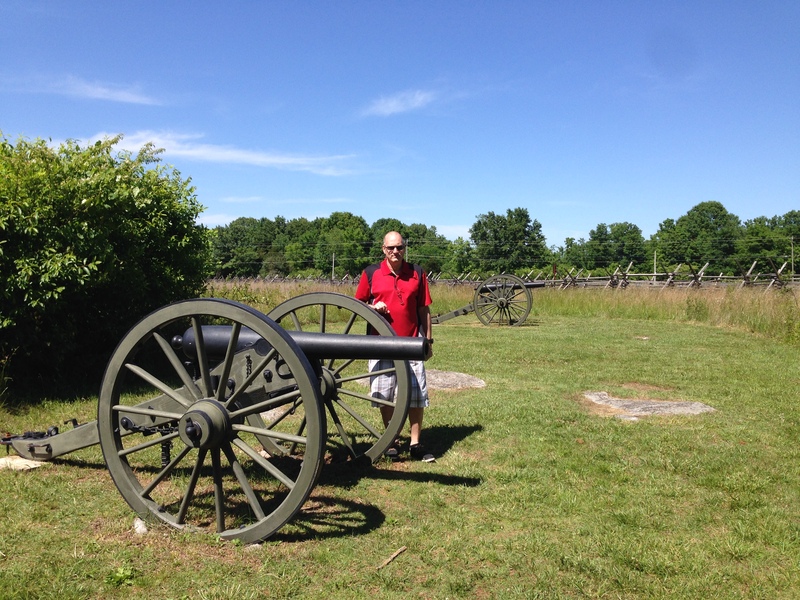 This Civil War site is located in Murfreesboro, about 35 miles south of Nashville. A total of 81,000 troops engaged in this battle starting on New Year’s Eve in 1862. Defending and controlling the Middle Tennessee (as it was called) was critical for the Union war strategy, and Murfreesboro in particular was important due to its location along the railroad line and “pike” (highway), which provided vital supply lines for the Union troops in their push from Nashville towards the heart of the Confederacy. A view of the battlefield. The night before the battle, soldiers slept here on the frozen ground without fires, knowing a major battle was imminent. President Lincoln desperately needed a victory to bolster the morale of the Union troops (as well as the northern citizens), and although victory came at a heavy price, the Union forces won the day. There were 13,249 Union casualties and 10,266 Confederate, with over 3,000 dead. The Hazen Brigade monument built by Union soldiers in 1863, just 6 months after the battle. It is the oldest intact Civil War monument in the nation. The National Cemetery at Stones River. 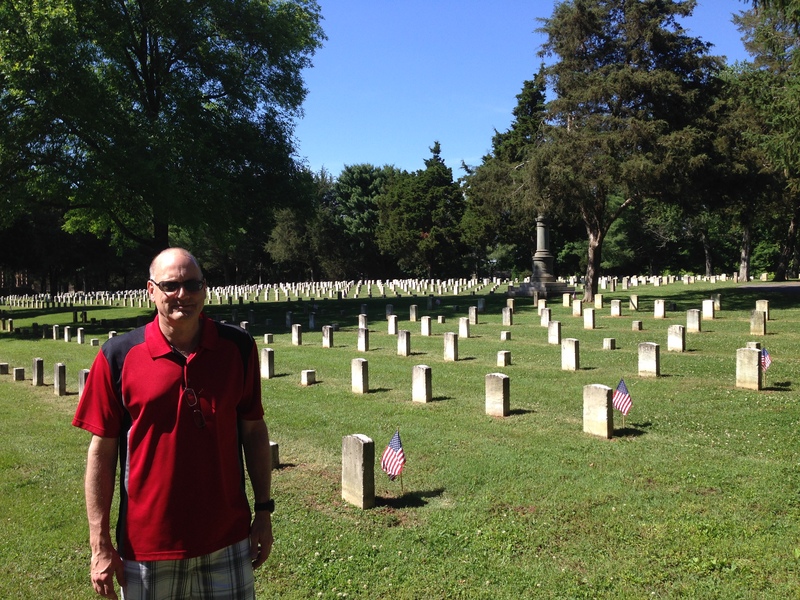 Over 6,000 soldiers are buried here, not only from the Stones River battle, but from other battles during the Civil War. Of those buried here, 2,562 of the soldiers are unknown. The Battlefield is free of charge, has a good visitors center and is well sign posted. Your tour can be done as a long walk around to the various points of interest or via car. 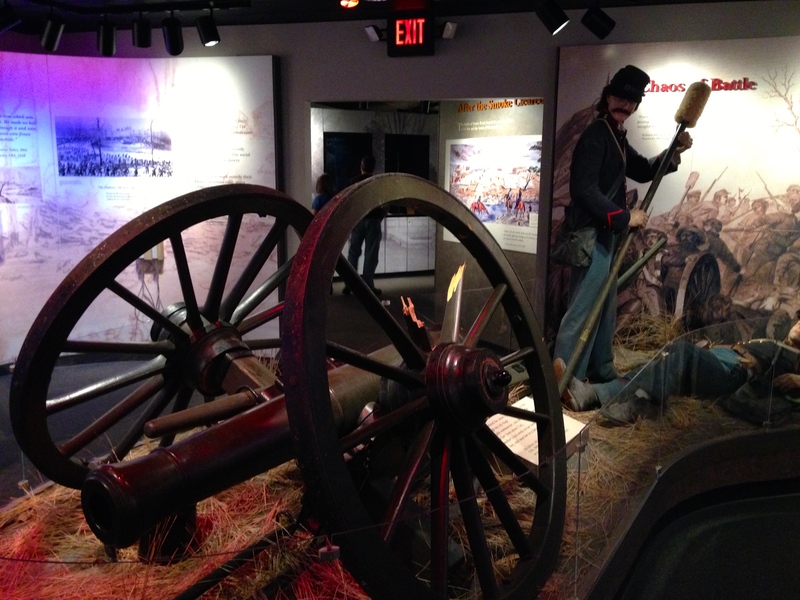 A display in the Stones River National Battlefield visitor’s center. Part of the Battlefield is located across a very busy highway and railroad track (the same ones the Union troops were seeking to control) and you’ll need your car to get over to this other section. 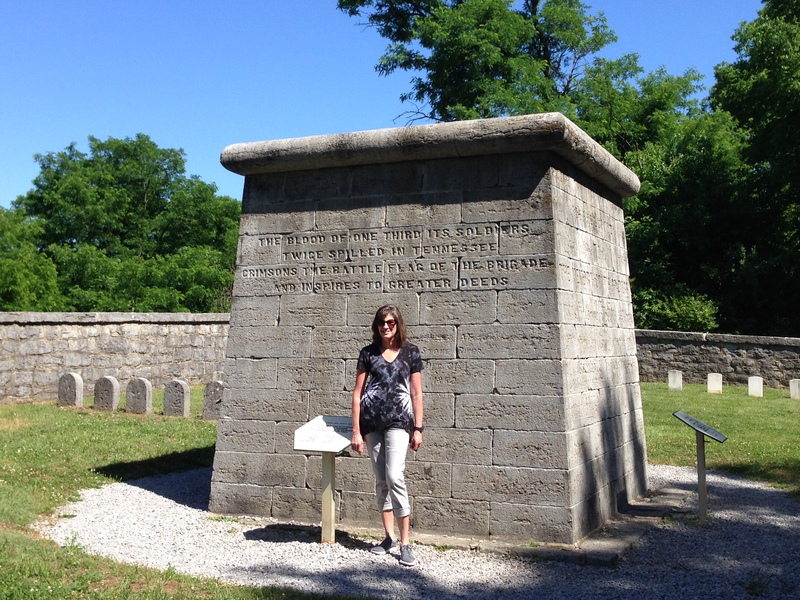 There are some other sites in this area we did not have time to visit including Evergreen Cemetery (Confederate) and remnants of Fortress Rosecrans, built after the battle of Stones River. 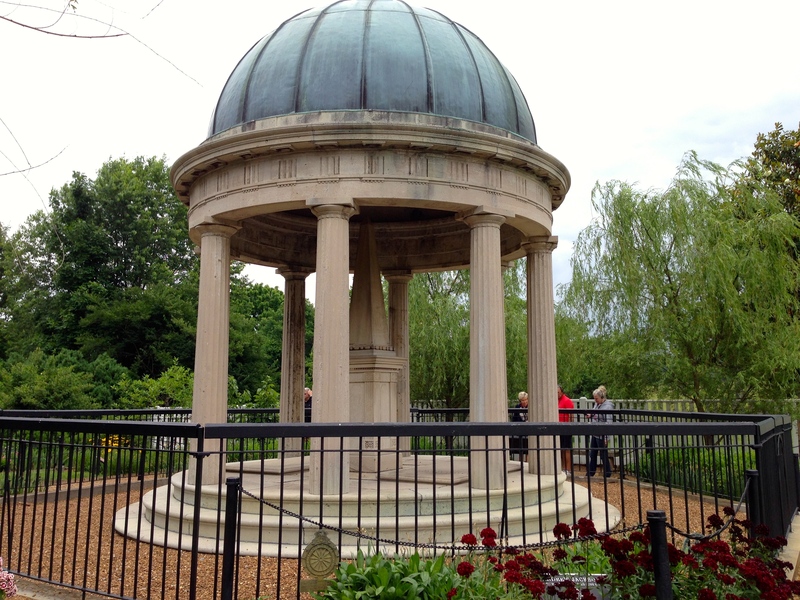 Posted in Tennessee, U.S.A. and tagged Civil War sights in Nashville, Stones River National Battlefield, The Hermitage, Things to see in Nashville on June 7, 2015 by Paul Terry.